Last night was our final night at St. Joseph’s Church with Fr. Bramlage and the Missionaries of the New Evangelization. Once again, it was a blessing to be there and take part in this time of prayer and healing in the Lord Jesus. The focus last night was on healing. The Blessed Sacrament was placed in a monstrance and exposed on the altar for adoration, while Fr. Bramlage and his team led the faithful in praising Jesus our Lord and King in emotionally moving song and prayer. We watched videos from around the world giving testimony about people who were miraculously healed of serious illness and disabilities—young and old, some were religious, others laity. When they began the healing service, some couldn’t walk. Others couldn’t kneel or stand. One gentleman, in particular, had fallen off a roof and shattered both knees and ankles, leaving them held together with pins. Consequently, he could not stand or walk and was confined to a wheelchair. After people laid hands on him, prayed for him and raised his needs up to Jesus the Healer, he was soon standing up! Next, he began walking back and forth in front of the altar! Nothing quite that dramatic happened at St. Joseph’s. But that’s not to say the night was uneventful. Quite the contrary. When it came time to pray for healing, those of the faithful with some of the more pressing needs came forward and sat in chairs where people laid hands on them in prayer. The gentleman I laid hands on (with two other men for a prayer group of three) had suffered a neck injury resulting in nerve damage to his hands. Of course, he was in pain. We raised his needs up to Jesus and sang a song of praise. Afterword, he told me his hands and neck felt noticeably better. Not totally healed and pain-free, but much improved. Sometimes the Lord heals partially and in stages. Other times, it’s instantaneous and complete. Fr. Bramlage was careful to remind everyone that healing takes place in people who are not being prayed over. Simply by being present and praying for others, healing happens. That’s the power and love of Jesus. Jesus heals because that’s who he is: divine Love. Divine Healing. There were dozens of people who raised their hands and claimed they had been healed. There were many witnesses who spoke openly to all about how they were instantly and miraculously rendered pain-free, suddenly gaining a new mobility they had not had in years. My own son stepped to the microphone and told everyone that his back pain, which had plagued him for many months, was entirely gone! Praise Jesus! But sometimes, for some people, healing doesn’t happen. Why? Well, that’s part of the mystery of faith. It’s also one reason why people abandon their faith or refuse to seek faith in Christ at all. I’m here speaking of the problem of evil. In this case, it’s physical evil. Physical evils are things like illnesses, cancers, heart attacks, strokes, disabilities, pain, injuries and so forth. Physical evils also include natural disasters such as are caused by volcanoes or hurricanes. Moral evil is something different. Moral evils result due to man’s free and intentional choices to withhold the good from others—it’s called sin. A moral evil is a voluntary bad human act, as St. Thomas Aquinas taught. It’s an intentional deprivation of the good when one has the ability to supply that particular good. There are many examples: abortion, euthanasia, starvation when the affluent hold plentiful stores of food, murder, theft, deception, lies, fornication, adultery, contraception, cheating, anger, violence, war, etc. The age-old question is: “From whence does evil come?” The problem of evil is a very old problem that finds its origin at the dawn of time in original sin. It’s one of the main reasons atheists reject belief in God. And it’s a problem for many other people, even Christians. The problem is this: if God is perfectly good and loving, why does he allow evil? In the context of physical healing, why doesn’t Jesus heal everybody, all the time? From Whence Does Evil Come? It originates in man. God does not and cannot bring about any moral evil whatsoever. To do so is contrary to his divine nature of perfect goodness and love. The bottom line is, God permits moral evil to take place because he allows us to exercise our free will. God bestowed the power to choose upon humankind because it is necessary for man to have the ability to freely choose to love God. But with that bestowal of free will came risks: the possibility of sin and evil became a reality. And indeed, man has sinned and brought evil into the world. God allows the consequences of our actions to play out in time, whether good or bad. We can bring pain or healing, desolation or consolation, love or hate, justice or injustice. But that doesn’t mean things always turn out bad for those who fall under the affliction of moral evil. It doesn’t mean there’s no justice. There is justice. It will always take place in God. All things, circumstances and events fall within the realm of God’s all-wise and loving providence. His divine plan, love and assistance are absolutely certain. For those who die loving Christ, regardless of the evils they’ve suffered, they will one day be gloriously rewarded and enjoy perfect happiness. On the other hand, the wicked, as scripture attests over and over again, will face divine judgment. Much can be said about evil. And, it must be admitted, much of the topic is a mystery. Nobody has all the answers. Why doesn’t Christ always heal the child with cancer when its parents pray so desperately for healing? We can speculate. We have some answers. But we do not have all the answers. And the answers we do give often seem entirely inadequate. 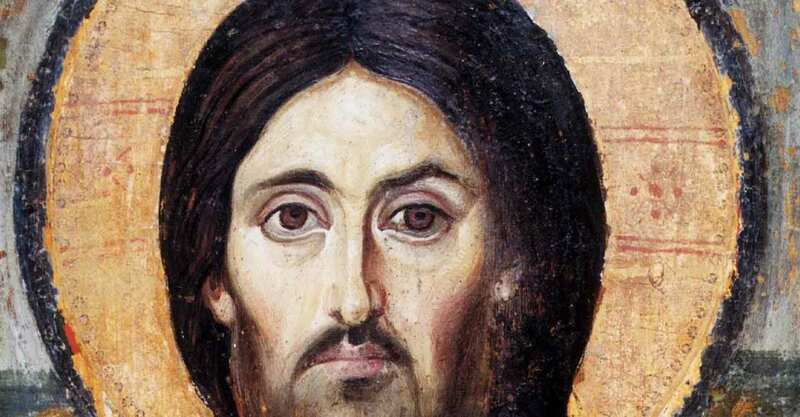 What is required is trust in Jesus whose nature is love and who will always bestow his divine life and love on those who seek him in repentance and faith. One thing we do know is that if a person is not physically healed after turning to Christ in prayer, God has something better in store. God always works in all things for the good of those who love him (Rom 8:28). God permits evil only in so much as he will bring good from it. He will always bring good from evil—although we might not see it until we pass from this life into the next. No matter how we may be assaulted by evil and to what extent, Christ really is the answer. Jesus alone is our hope. I choose to place my faith in him, for in Jesus all things are possible (Mt 19:26). In Christ, I have nothing to fear because in him I can endure all things for the sake of love. Let me leave you with this: Do you want to be healed? Do you suffer in some manner? We all do. Will Jesus heal you? Absolutely. It is an absolute certainty that those who die loving Christ will be totally healed one day. When is that? On his return, through the general resurrection of the dead, when all who have died in God’s friendship will live forever as a glorified and resurrected people. Read more about the resurrection of the dead. Please support Joy In Truth by sharing on social media! Photo Credit: By carulmare [CC BY 2.0 (http://creativecommons.org/licenses/by/2.0)], via Wikimedia Commons.